captures the core of what the congregation is all about yet provides meaningful guidance as it goes forward. The project of articulating such a mission requires that we think about "mission" in some ways to which we may be unaccustomed. 1. Not the consumer’s mindset. The relationship of a member to a congregation is not primarily the relation of a consumer to a product. The question isn't "what do I want the congregation to provide to me?" Though there are definite benefits of congregational life, that's not the main question in thinking about mission. 2. Not a strictly service orientation. Nor is the relationship of a member to a congregation primarily the relation of a servant to a cause. The question isn't "what can I give to the congregation?" Though the gifts of your time, talents, and treasures are necessary for the life of the congregation, that's also not the main question in thinking about mission. To paraphrase JFK: Ask neither what your congregation can do for you, nor what you can do for your congregation. Instead, think about the ways you'd like to grow, learn, deepen, and develop that congregational life might, conceivably, help with. This will involve some service to you from the congregation, and it will involve some contribution from you to the congregation, but not in a way that the receiving and the giving can be easily or neatly separated. It will also involve you doing your own work: much of it on your own, while guided by your congregational connection. When we ask how you'd like to grow, learn, deepen, and develop, we aren't implying that you aren't good enough already. You're plenty good enough. You are, in fact, perfect -- exactly the way you are. So now what? What are you going to do next with your wonderful, perfect self? What's next for you in your ongoing growth? Let us really listen to our own hearts and see if we can articulate what sort of direction our perfect beings are urging us to move in now – which muscles we’re out to strengthen at the faith gym called church. Who would you like to be more like, that your congregation might help with? To say that a church is a spiritual gym is not to forget that often the church is also a spiritual infirmary. There are times in life when we come to church sick at heart, soul weary, broken-spirited. Before we can think about the exercises and disciplines which cultivate and strengthen our wisdom, compassion, and equanimity, we just need to be cared for. We need replenishing rest. Yes, the church has that pastoral function in addition to its prophetic task. Yes, the church is there to comfort the afflicted as well as afflict (encourage in the spiritual disciplines) the complacently comfortable. So: Who would you like to be more like, that your congregation might help with? 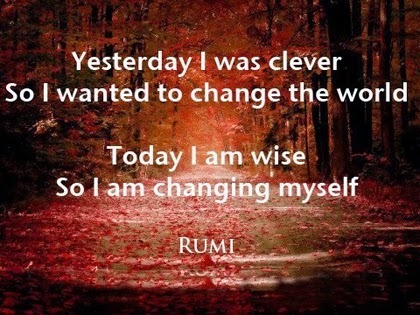 One UU told me that his aim was to “remain just as I am now.” I resonate with this poignant yearning. There is a part of my heart that would like to stop time, make everything permanent. The heart knows that desire. But, alas. There are a lot of things a faith community can help you with, but stopping time is not one of them. 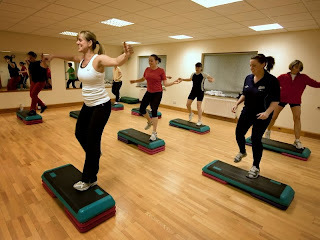 We could choose a mission that was focused on maintenance of physical and mental health -- we could orient our programming toward exercise and diet classes, and programs to help us keep our minds sharp. Such programs would help us remain healthier for longer -- but no matter how hard we work at it, individually and collectively, we won't remain exactly as we are. If you can remember "listen, open, serve," then with just a little practice, you can remember the rest: Listen (to our deepest selves), Open (to life’s gifts), and Serve (needs greater than our own). Then you only need to remember the lead-in: "Healing spiritual disconnection by helping each other . . . "
It is brief and memorable. It identifies the work each member is there to do. It says how the members of that congregation want to be changed. The congregation that adopted this mission statement (the Unitarian Universalist Church of Rochester, NY) used their mission to organize every program and every policy toward being a place where people are transformed, where people learn to listen (to the deepest self), open (to life’s gifts), and serve (needs greater than our own). A congregation’s effort to articulate its mission is likely to yield a result which, even if supported by a consensus, is one to which a few of the members just don’t feel called. And that's OK. Even if there are members who aren't interested in the congregation's mission -- even if there are folks who don't want to be intentional about the changes that are coming anyway, those folks will always be welcome. They’ll be able to continue enjoying what they have always enjoyed about congregational life. It’s just that those who yearn to move forward should not be held back back those are comfortable not moving at all. The world needs – cries out for -- those who do choose to accept a mission of embodying a spiritually deepening liberal religion. This is part 5 of 5 of "Mission: Possible"
Previous: Part 4: "Becoming Partly Intentional"
Sometimes a congregation could use more clarity about why it gathers, maintains a building, pays a staff. Not that there aren't already some good words about what the congregation is all about. It's very rare for a congregation to have to start from scratch on this. Most are off to a good start. Respect for the interdependent web of existence of which we are a part. What does any UU congregation exist for? It exists to affirm and promote those seven principles, that's what. Even so, a little more clarity could help. You may have noticed, the language of the principles is all rather general. How exactly shall we, for instance, affirm and promote the free and responsible search for truth and meaning? How exactly are we to work compassionately for peace, liberty, and justice. And how can we tell if we’re doing it? It’s not that more details are needed. I don’t think that would help. Details are subject to endless quibbling over and too easy to ignore in any case, too hard to remember. Details don’t capture the heart and fire the imagination. What we've got is language that's general and abstract. Yet adding specific details isn't the way to go. So what would help? 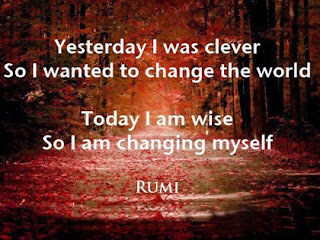 "How would I like to be changed?" 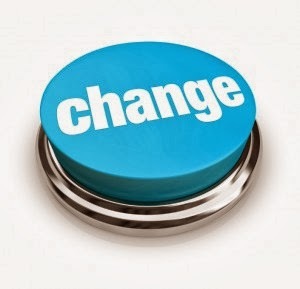 A congregation can get some clarity on what it's here for if it can identify how the members would like to be changed. What kind of people would they like to become? Our seven principles don't answer that. They don't say how the people living by that covenant will be, or would hope to be, transformed by adhering to the principles. 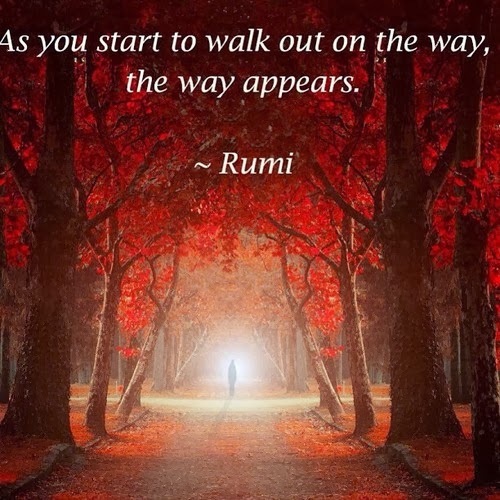 The central question for each of us is this: On what path would I like to see myself? In what direction is that path headed? Naming the change we seek -- not adding more specific detail to our abstract and general principles -- is how Unitarian Universalists can get clearer on what they're about. 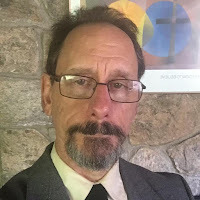 This is part 3 of 5 of "Mission: Possible"
Next: Part 4: "Becoming Partly Intentional"
Previous: Part 2: "Atone = At One"
That May 22 post went on to describe how I have, since fourth grade, slowly come to appreciate spirituality – as have a number of atheists. While these “spiritual atheists” maintain an identity as atheists as well as spiritual people, I wasn’t clear, in that post or subsequently, about my own self-identifications. Certainly, in fourth-grade, and pretty much on through middle school and high school, I was atheist-identified. But am I now? No. Neither do I identify as theist. Am I a Marxist? I don’t know how to answer that question in a simple ‘yes’ or ‘no.’ This is not a matter of not knowing what I believe, not a matter of being "agnostic" on the issue. It's a matter of not wanting to identify my beliefs with a word that has so much baggage that it will obscure whatever I might be trying to say. Marx had some insightful analysis. There were also areas where I think his approach is not helpful. I guess I’m a Marxist in some senses of the term and an Amarxist is some senses of that term. Better just to say that I identify myself neither as Marxist nor Amarxist, but as someone who sometimes invokes Marxist language and sometimes invokes Amarxist language. The word “God,” has a very long history of referring to a source of mystery and meaning, an origin, a basis for values and commitment, an ultimate the contemplation of which cultivates well-being, humility, peace, and an ethical vision. Sometimes I want to refer to those things. I’m comfortable saying “God” to make that reference, and I will often talk about God for that reason from the pulpit on Sunday morning. “God,” better than any other word, clearly and directly specifies that what I’m talking about is indeed an ultimate ground of both concrete values and commitments and at the same time incomprehensible, mysterious, full of powers we can but dimly apprehend (e.g., dark matter, 128 dimensions, the Heisenberg Uncertainty Principle, reproduction, immunological response, consciousness): a reason for living, and a beauty beyond reason. I also need to reach people for whom the word “God” is nothing but a distraction. I want to reach them with a spiritual message, and while “God” would be a helpful way to convey that message with many UUs, it’s also a stumbling block for others. So sometimes I avoid the word when I'd have been comfortable using it. UUs are a diverse lot. I try to make sure that over the course of a number of Sundays everybody gets their turn. I also ask my congregants to stretch themselves a bit and hear the message as it would be in their language even when I’m speaking it, for that Sunday, in “the other side’s” language. 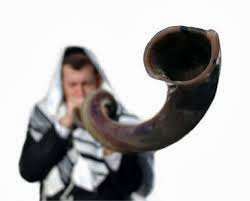 On Yom Kippur, the one thing, the only thing, for which we really have to atone, is all the times we weren’t awake, all the moments we didn’t approach with the awareness that that moment was the complete fulfillment of everything. We atone for all our lapses, our naps, our falling into the dream-delusions of separateness, by returning to being at one: at one with the dirty dishes, at one with the traffic jam, at one with your persnickety client, at one with your capricious boss, at one with your child’s tantrum, at one with every disappointment. It is a wonderful and dead-on accurate fluke of English that “atone” is “at one.” We atone for our mistakes by being at one with them -- and with every aspect of our lives. (B) We all help each other to develop the sense of vision, of how to bring to each moment a creative engagement. Unitarian Universalism puts a heavy emphasis on individual conscience. Yet sometimes in our lives our individual conscience is simply at its wit’s end. Grief and loss are headed your way – and mine. If they are not with us right now, they are headed our way. Meanwhile, our individual consciences have spent their life thinking about other things, will never see grief coming, have no idea by themselves how to cope with significant loss. 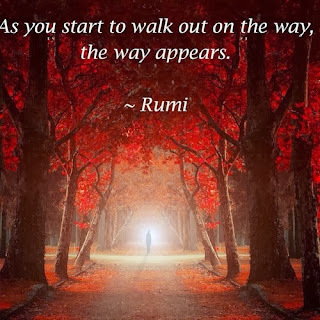 To learn to find peace with, to be at one with, all of life, even the difficult and painful parts, our individual consciences needs the resources of a community embodying a tradition – a tradition of practices and texts and the habits of using them to make meaning even when all meaning seems to be gone. 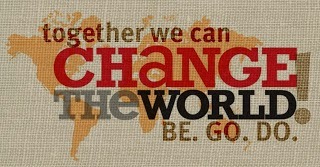 How do we do become the community that can offer that resource to our members and to the world? On what shall we get to work in order that the tradition, teachings, and values of Unitarian Universalism can come to life, find embodiment in our doing, and thereby nurture spiritual maturity in us? In short, what are we here to work on? That's the mission question. On what are we here to work? For what does a Unitarian Universalist congregation congregate? Why do we gather at Community Unitarian Church and contribute our resources to its support? It’s awfully nice to the members and friends of CUC to all chip in to pay my bills, give me a nice house to stay in, pay most of the health insurance premium for my family, but what exactly is it with which you’d like me to help you? What is it with which we’d like to help and be helped by each other? Articulating a clear and helpful statement of mission is no easy thing. More clarity on what we’re trying to do here – so we can help each other do it – and I can add what I can – would feel good. This is part 2 of 5 of "Mission: Possible"
Next: Part 3: "Name the Change"
Mission! Impossible? Or mission possible? A while back the business world latched onto the idea of mission, and the results have not always been pretty. Mission statements of businesses are prone to either state the obvious, or state nothing at all. "We have committed to synergistically fashion high-quality products so that we may collaboratively provide access to inexpensive leadership skills in order to solve business problems"
"It is our job to continually foster world-class infrastructures as well as to quickly create principle-centered sources to meet our customer's needs"
"Our challenge is to assertively network economically sound methods of empowerment so that we may continually negotiate performance based infrastructures"
"The New Ventures Mission is to scout profitable growth opportunities in relationships, both internally and externally, in emerging, mission inclusive markets, and explore new paradigms and then filter and communicate and evangelize the findings." Businesses are not congregations, and congregations are not businesses. We aren’t even a nonprofit business. Yet we have in common that we are complex organizations that have a lot of different things going on, and it's hard to sum up all those things in any way that provides meaningful guidance. So what often results is either banal or incomprehensible. Community Unitarian Church is in the midst of a process for articulating our mission. Since we are not a business, we are a faith institution, a spiritual community, perhaps we can draw on spiritual wisdom to help us avoid the mission pitfalls into which many businesses fall. Proverbs is saying that vision -- a.k.a. prophecy, divine guidance, revelation -- is about perceiving that which shows us the way toward a fulfilling life. It’s seeing the context within which our lives make sense – seeing what we’re here for – and flowing with it. It’s not that the picture of the future toward which you are working is entirely irrelevant . . . yet, from a spiritual standpoint, actually, yes, the picture of the future toward which you are working is entirely irrelevant. This vision here is not a picture in my head of a tidy kitchen with all the dishes sparkling and neatly stacked in the cabinets. Rather, I would be bringing vision to my dishwashing insofar a I perceived that at that moment washing dishes was the best possible thing for me to be doing, and, indeed, the total fulfillment of the whole universe’s 14 billion years. That sudsy warm water. That slippery plate. My own wet hands. That’s what everything was for. That’s the meaning of it all, right there. 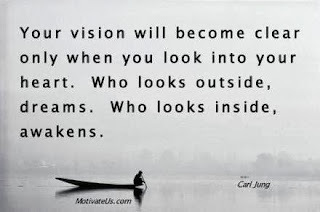 That’s vision. 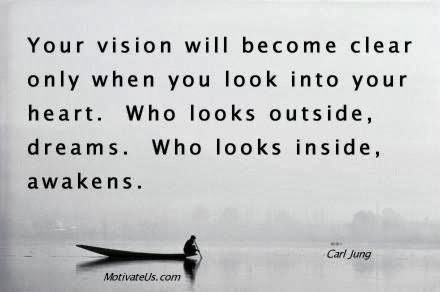 That kind of vision is indeed spiritual wisdom to draw on. If we could bring that kind of vision to everything we do, to every moment, then we'd be harmonizing ourselves to what the world presents to us. We'd be doing what Proverbs calls “keeping the law.” We'd be awake. This part 1 of 5 of "Mission: Possible"
Next: Part 2: "Atone = At One"
Come, spirit, come, our hearts control. Let inward love guide every deed. “By this we worship and are freed.” By what, exactly, are we freed? The evident antecedent of "this," in the context of the verse, would be: inward love guiding every deed. But what is that? Consider that "this" is whatever is right in front you, immediately present, right now. By THIS we worship and are freed. What do I mean? Here's a poem from one of the Beat poets that may help. "Why Log Truck Drivers Rise Earlier that Students of Zen"
What "thirty miles of dust" are you in the middle of, wishing, maybe, that it would settle down or blow away or just come to its end? There is no other life than that very dust cloud. By this -- this thirty miles of dust that envelopes us, whatever the dust of your particular life may be -- we worship. By this we are freed. Nothing else can free us, for there is nothing else. "There is no other life." We cannot escape the fact, though we retreat from facing it in various ways. And the very retreats away from it turn into pathways back to it. Just this. THIS! In all the grandeur of its plainness and all the specialness of its ordinariness, there is no other life, nothing but this, no one but us, no other sacredness, no other religion than one or another set of worn practices of directing our attention, over and over, to no other life than this. We forget, get distracted, get lost in dreams and plans for some other life. Over and over, then, repeat the exercises of remembering. This! By THIS we worship and are freed. When we approach the holy beyond all speech, our words drop away in chunks, until only one word remains: "This." Then that word, too, drops away. And in the silence beyond, or beneath, or over, all our words, we touch the unmediated and the real -- and perceive therein a quiet rhythm, a pulse: the Beat. This is part 4 of 4 of "Beatnik Celebration"
Previous: Part 3: "Beat Paul and the Corinthians"
Beginning: Part 1: "No Other Life"
Paul stood before those Corinthians. "What else? What else you got?" he asked again. Some one said, "a strong work ethic." Paul repeated the answer and added, "OK. And what else?" "Well, yeah, that goes with the work ethic. What did I tell you about those John Calvin books? What else?" More answers were shouted out. Paul repeated them as he heard them: "Faith. Courage. Enough education, professional expertise, and a good bag of tools. That's all good stuff. What else?" "Love," said one of those Corinthians. "Bingo," said Paul. "You got love. 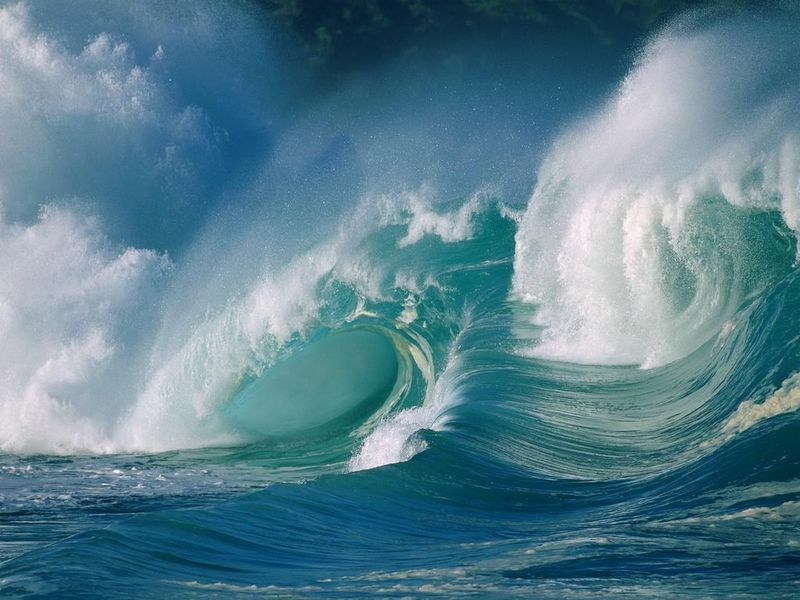 You got love like an ocean in your soul." And just as the Corinthians were breathing a collective sigh of relief, Paul said, "Now get it out." "Get it out. Take love out of that box you carry it around in, that casket you call your heart, open up that box and take out the love you have." "You said it was an ocean," objected one Corinthian. "Yeah, you're mixing metaphors," added another. "I'm not mixing them, I'm switching them. You gotta be quick. You gotta be nimble. C'mon, keep up with me. Now take it out." "Whatever. Just, let me see it." The Corinthians sat there, just looking. Paul said, "What's the matter, take it out. Come on. How hard could that be? Simply open up the box of your heart, and let your love out. Just do it." Finally, one of the Corinthians said, "Paul, I'd like to, really, I would. And I know I have the love. I feel it glowing in there right now, and I have felt what it was like when the box opened, but I can't just open the box on command." Paul said, "So you're a failure then." And the Corinthian was suddenly very interested in her shoes. "How about the rest of you?" But they were all interested in their shoes too. "You can't do it, can you? You can't say, 'I'm going to open that box,' and reach in and open it. You can't make that box open up so that your love can be unmistakably seen. Can you?" The Corinthians slowly shook their heads. "So you're all failures," said Paul. There was a long and awkward silence. One of the Corinthians finally said, "So what do we do now?" "So what do we do now?" repeated Paul. "We need your brave fire to burn with love, because there is such a thing as burning without it. Yet you can't make the love come out. You can’t, by yourself, make the love come out. It comes out when it is born out on the winds of spirit that are not held within you but which come into being among us and between us, the spirit that comes to be yours but first was ours. You made the love, but you don't open the box to let it out, to let it be seen and recognised and take effective form. You don't open the box to let out your love. We do. And we do even when we don't know what we're doing and don’t mean to be doing it. The spirit which is beyond our control but which our connection somehow mysteriously creates, takes control of our hearts, brings our love into the broad day. The spirit that is us brings wholeness to our fragmented, separate individual hearts and spirits. Then inward love directs all our doing. And when your love is set free, so are you." "Oh, yes, you sure are. Forever do you -- and I -- fail. And, through each other, forever are you and I being redeemed." A Corinthian said, "Paul, that's great. I'm just not quite clear on how that answers the question." Paul said, "What was the question?" "The question was, So what do we do now?" "So what do we do now?" Paul repeated again. "What we do now is pray. Together." "Pray for us, Paul," shouted a Corinthian in the back. But Paul said, "Oh, no. You know the words." This is part 3 of 4 of "Beatnik Celebration"
Next: Part 4: "The Beat"
Previous: Part 2: "Riffing on Hymn #34"
Yet Saul himself was an unhappy camper. He made tents. He made everybody tense. He made himself tense. Until the day Saul scored some primo weed: "Damascus Gold." Opened up a whole new world for him. Made him three days blind, and when he could see again, he could see. He said, "Whoah, dig it. I am all new. I need a new name." So he changed his name to Paul. He was one hep cat. Let me tell you about the trip he laid down on those brothers and sisters in Corinth. 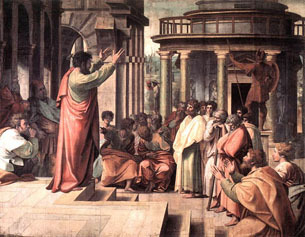 He went to Corinth, and when all the Corinthian siblings had gathered for Sunday morning worship, Paul spoke to the congregation. He asked them a strange question: "How brave does your fire need to be?" These Corinthians, they were serious about their faith. They even came to church in August, when it was unfashionable to do so. They had studied at Asia Minor Theological Seminary. They could preach. They could whip up some decent inspiration, no problem. They could burn some pretty brave fire on a good day. Paul said, "Groovy. Burn baby burn. Keep on burning, sisters. Flame on, brothers. But: how brave does your fire need to be?" One Corinthian said, "Brave enough to burn up all the fear in the world." Paul said, "All of it? Really? No, we need to be able to fear. 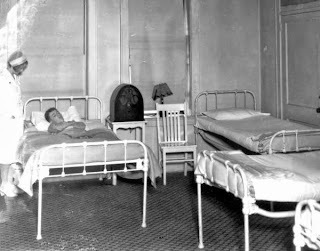 You may not be a fear addict -- a junkie with the jones on for another hit of adrenalin speed; the short hairs on your neck standing at attention; pupils dilating to take in everything. Maybe you're not craving that it do so, but your body can fear, and that is a grace. You wouldn't want it not to be able to do that. Fear is a grace. So I ask again, how brave does your fire need to be?" No one made a second guess, so Paul said: "The brave fire doesn't sear out the body's wise danger signals. It burns the cobwebs of fear, hanging around, clinging and sticky, long after the body fear's gracious gift-work is done. That's a brave fire that can burn all that leftover, hanger-on fear, looping, sticking epiphenomena of fear. The brave fire burns what just isn't needed anymore, burns the conscience that doth make cowards of us all, burns us into our courage. Do you speak with that brave fire? Are you living your life with that brave fire? Have you ever? Maybe once? Well burn on, baby. That's great. Let me just ask you this. Right now, this morning, right here, each other, where's the love, man?" Those Corinthians couldn't answer. Paul rested in their silence until he was sure he could see where the love was. Then he said, "Look. No, really: look. What have you got? Look and see. Take inventory. What have you got? You've got possessions. OK. A house, a car, a closet full of clothes, bookshelves sagging with the weight of all those volumes. Throw it all out. If you want to. I mean, that biographical analysis of the theology of John Calvin? When are you going to need that again? That sounding brass that you got at that little gift shop at that spiritual retreat center because you thought it would be a cool thing to have, what are you still carrying that around for? Chuck it all. Or, heck, don't. Keep it. I don't care. I just want you to know that keeping it is useless and that giving it away proves nothing. So, whatever. What else? What else you got?" 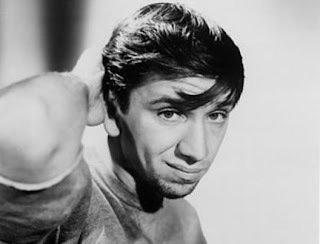 This is part 2 of 4 of "Beatnik Celebration"
Next: Part 3: "Beat Paul and the Corinthians"
Previous: Part 1: "No Other Life"
Now it’s Maynard G. Krebs on Dobie Gillis, 1959 to 1963, played by Bob Denver before he became Gilligan. 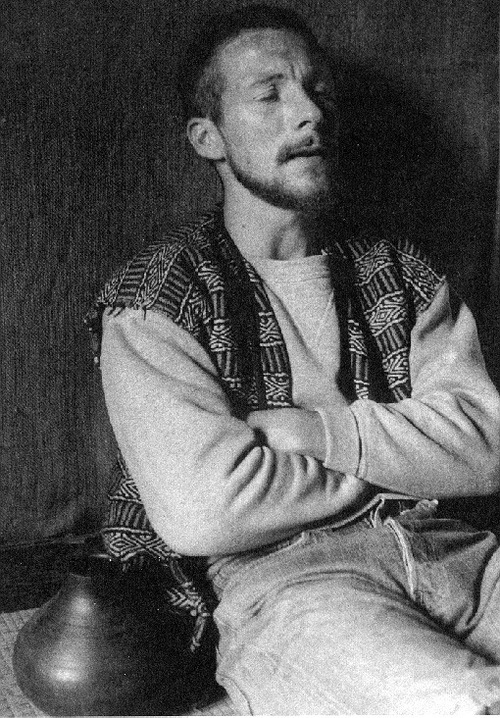 Maynard G. Krebs, beatnik stereotype, with his goatee, hip talking, unkempt appearance. Saying things trite, quotidian, unremarkable. But we are aloof from that, that scene. Go back to what you know – but live as if you’d forgotten. This is part 1 of 4 of "Beatnik Celebration"
Next: Part 2: "Riffing on Hymn #34"
Let me tell you about Neecie Vanston. The story was referenced briefly in the latest issue of UUWorld (2013 Fall, p. 60, online here). Thirty years ago, I was 24 years old. 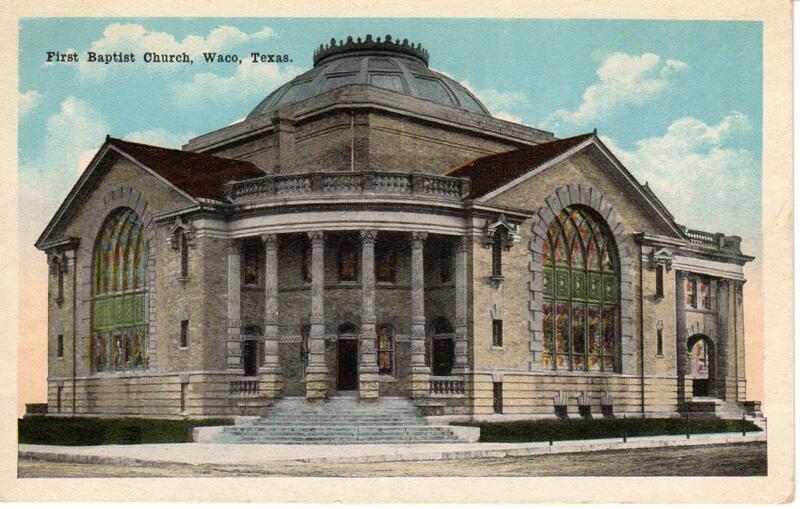 Neecie and I were members of the Unitarian Universalist Fellowship of Waco, Texas. Neecie was 70-years-old, which, you know, doesn’t seem as old to me now as it did when I was 24. She came up to about the middle of my chest. Neecie was a long-time and dedicated member of the Waco fellowship. In fact, the Fellowship began in her home in 1952 -- a time when social respectability "deep in the heart of Texas" was largely determined by which Baptist church one attended. I, on the other hand, had not yet been born in 1952, and I was newly returned to the UU fold after having been unchurched since high school. Neecie believed in the seven Unitarian Universalist principles and that those seven are enough. She believed in a religion that welcomed theological diversity. She believed in ethics because what we do matters. She believed that the more she understood about the experience of different people – the different social experience of different classes and different races and different cultures, and the different spiritual experience of Jews and Hindus and Buddhists and the various forms of Christian – then the more she understood herself, the more she understood the ground of being, and the more she loved those different people, and acted on that compassion, the more she was whole. She believed – she knew – down to her bones from 30 years of walking the Unitarian Universalist path – that community based on this approach to religion saves us, heals us, sets us free. That’s what liberal religion is, and that was Neecie’s religion. So there I was: a young adult who didn’t understand that distinction between the easy and lazy believe-anything-you-want-to and the disciplined quest to discern your own heart and mind’s dictates. Does not the world call to us for a religious response -- that is, a response which affirms dignity and justice and compassion and acceptance and searching and conscience and democracy and peace and interdependence? Comerado, do you hear that call? This is part 5 of 5 of "What Is Liberal Religion?" Previous: Part 4: "Suspicion of Dualism"
Beginning: Part 1: "An Open Road Song"
Labels: What Is Liberal Religion?